This morning I was reading the news when I saw a 'blurb' on the side bar mentioning a blue wine. 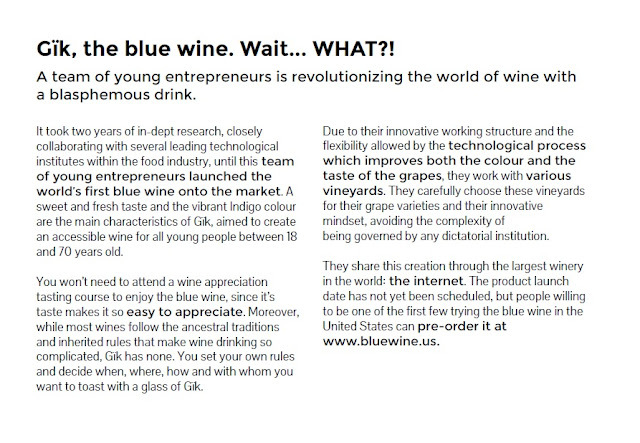 That got my attention because... well, blue wine. I ended up going to the website of Gik Live and learned that the 'wine' is not allowed to be called wine because officially Europe has only 3 options; red, white and rose'. So blue is classified under other. The site had a "Press" section so I delved into it to learn more about this cool looking but odd drink. 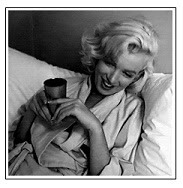 "Try to forget everything you know about wine. Try to unlearn the hundreds of protected wine designations of origin, the complex and demanding service standards and everything that sommelier said at a tasting course to which you were invited. Forget traditions and forget that we are speaking about the liquid which represents the blood of Christ at church. Now open your eyes, what do you see? A sweet and blue drink with 11.5 degrees of alcohol. That’s Gïk. Do you want to try it?" 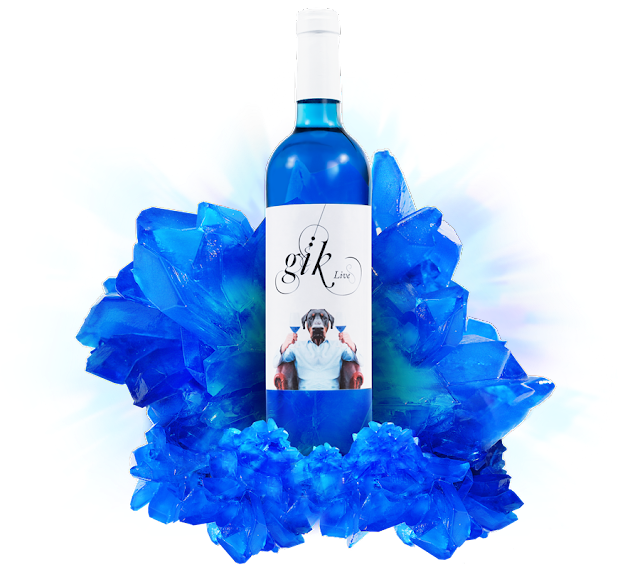 The blue color of Gïk is created from a mixture of white and red grapes, which is then added to two organic pigments; indigo and anthocyanin – which comes from the very skin of the grapes used to make wine. "Our wine comes from different Spanish and Franch vineyards, whose grapes we transform into Gïk. That’s right: we work with grapes from different areas of Europe, whose color and flavor we improve through food tech. We choose these wineries in terms of the people who work them and their innovative nature. That’s why Gïk has no denomination of origin, but a guarantee of quality and unique flavor. Our wineries are located mainly in La Rioja, Zaragoza and Courthézon." 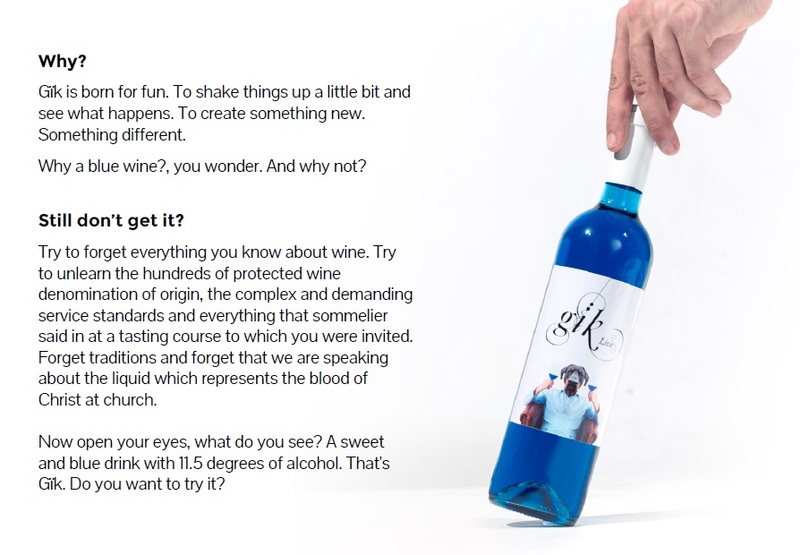 The Gïk team is made up of young people without any wine tradition. They are in their twenties and have no previous experience. They have no fixed schedules. Their office is worldwide. There are not business people but creators: designers, programmers, artists and musicians. They work without hierarchy; horizontally. In the end I was not sure what to think. A bunch of 20-something guys make a blue drink. Market through word of mouth on the internet. It's only available to pre-order through their site and no one knows what it tastes like. I'm not intrigued enough to spend cold hard cash on it myself, but I'm sitting here sipping my third cup of morning coffee and was interested enough to post about it. Heck, I don't even know if the product really exists outside the marketing and the website. One thing in the press release information and website mentions they use the skin of grapes and natural indigo to color the wine. Well, indigo is a natural blue dye of sorts. So I'm thinking to myself, "I could pour a glass of white wine and add a couple drops of blue food color..." and I could, except I prefer drinking coffee to wine. Eh, it's just the coffee talking again.